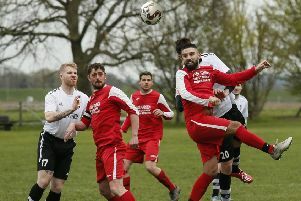 Kempston Rovers joint-boss Jimmy Stoyles has positive vibes ahead of the new season this weekend. Rovers begin their Southern League East campaign with a trip to newly-promoted Moneyfields FC on Saturday. Speaking after the side’s final pre-season friendly, Stoyles said: “I’m reasonably happy with pre-season, it’s been good. “There’s been a little frustration with little injuries, some players going on holiday, but we’ve got some good minutes under our belts. “Perhaps at times we’ve used too many subs and it’s changed games. We were really dominant at Olney and Leighton and we changed it to get other players some minutes and it’s changed the games. “In the league games, that won’t happen, so it’s not a negative. “We’re still looking to bring in one or two players to finish the squad, but it’s a case of identifying and affording the right player. “We’ve looked at a lot of players this pre-season and I’d have liked maybe another week of pre-season to make sure that preparation is perfect. “But I am never totally happy, I always want to improve on what we do here. “We’ve kept most of last season’s squad together, we lost three big players but they’ve all gone to higher leagues and you can’t stand in their way. “I’m very pleased to have brought in Callum Lewis, he’s come from a higher level, got lots of experience and will give us something a little bit extra. “We set the same standard as we did last year, we want to win every game. We all know that is not impossible, but very unlikely. “If you don’t want to win, what are you doing? I always want to win, even if it’s at home playing Monopoly. “I’m a terrible loser, both myself and Gary (Flinn, Kempston’s other joint-manager) hate to lose, we’re always respectful in defeat but we set the standard high to challenge the players to perform. Rovers’ first home game of the new campaign is on Tuesday, August 15, against AFC Dunstable. Meanwhile, Kempston have announced their continued partnership with Taylor Brightwell estate agents.